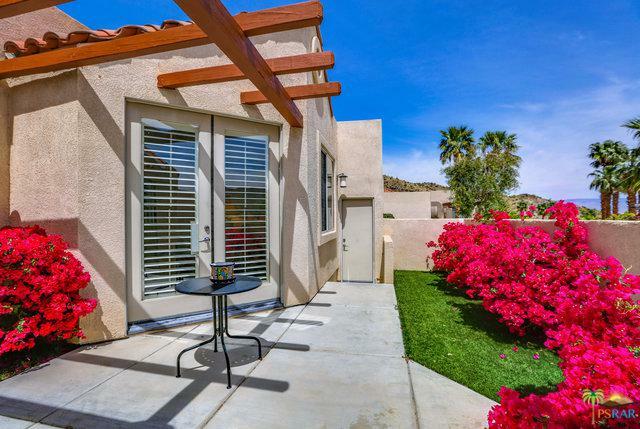 Palm Springs 3 bedroom 3 bath condo, 2209 square feet of living space with mountain views . Spacious and well laid out open floor-plan, single level unit. Living room with vaulted ceilings and fireplace, private gated courtyard and private gated patio areas. Two master suites: one master-suite with soaking tub, stall shower, walk in closet, second master-suite with private entrance, and walk in closet, and an additional en-suite guest room/flexible room. Chef's kitchen with island, prep sink, walk in pantry, breakfast bar, granite counter tops, plantation shutters, ceiling fans, dual zone a/c, laundry room and 2 car attached garage. 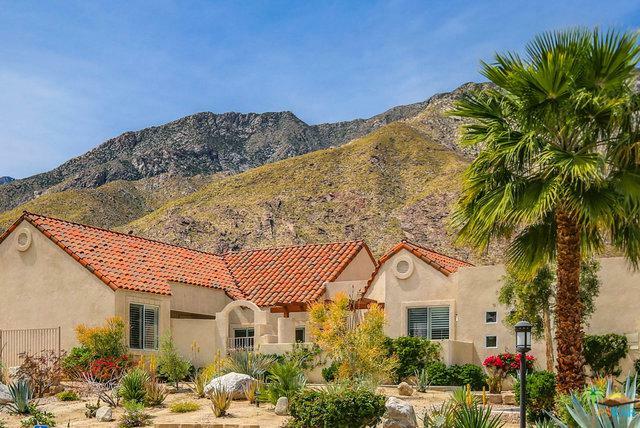 The Canyon Heights community offers resort style living with pools /spas, tennis & pickle-ball courts, clubhouse, fitness room, and gated access to the Lykken hiking trail. 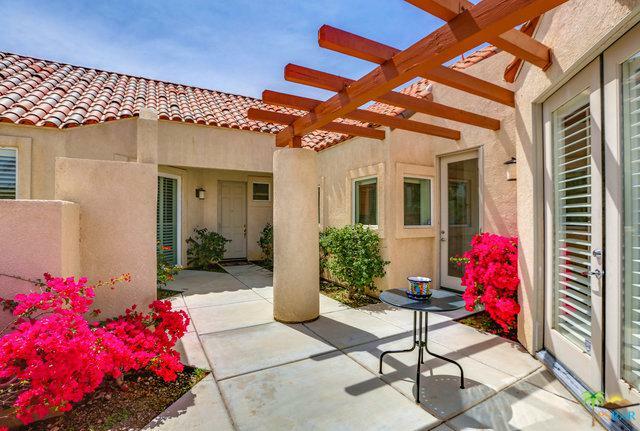 Two championship golf courses nearby, minutes to downtown Palm Springs. Perfect Palm Springs lifestyle and you own the land! Furnishings available outside of escrow. Listing provided courtesy of Kathryn Tomasino of Bennion Deville Homes.